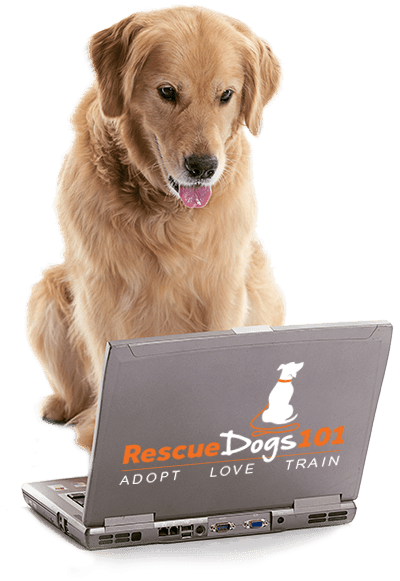 Why Should I Crate Train My Dog or Puppy? When bringing home a new dog, whether it is a puppy or an adult dog, the crate can create a safe place for him during the transition to his new home. Crate training should be the first item on your list to teach your dog. Each dog is different, some dogs LOVE the crate and some dogs HATE the crate. Personally, I think it is easier to crate train a puppy than an adult dog. But ALL dogs of any age can and should be crate trained. Need help finding the best crate for your dog? Read Best Dog Crates of 2018. Part of my volunteer time for the rescue I work with, I perform home visits prior to people becoming approved to adopt a dog. One of the questions I am required to ask is if they have experience and/or open to crate training. I’ve noticed that most people say yes, they’ve used a crate with previous dogs, or are willing to crate train their new dog. But there are also some people that are afraid of the crate, thinking it is cruel to put a dog in a crate all day while at work. Placing a Dog in a Crate is NOT Cruel. As I mentioned above, the crate creates a safe place for your dog. We require every dog we foster to be crate trained immediately. It not only helps the dog decompress in a safe place while he becomes acclimated to his new environment but also keeps our foster dogs safe from our resident dogs and other household hazards. Not every dog likes the crate right away, but it’s important to teach them the crate is a good place to be. Funny story… when we adopted Bear, his previous owner disliked the word crate so much, they called it his BED. So when we want Bear to go into his crate, we have to say, go to your BED. So maybe if you don’t like the concept of the crate, try calling it your dogs bed… whatever works for you! Bear has been with us for one year now and no longer needs the crate when left home alone. Bear prefers to sleep on our bed then his crate, so I just put the crate away. On the other hand, our dog Ginger LOVES her crate, she prefers to sleep in it at night… we never close the door. Ginger will also sneak away to go to sleep in her crate during the day when she knows she wants to be left alone. She truly feels her crate is her safety zone. Which just proves, every dog is unique. Learning how to crate train your new puppy is essential to his training AND your sanity! As I write this, we are fostering a 4-month-old puppy, Martini… she’s really an awesome puppy. But all puppies like to explore with their mouth, chewing and biting everything they can find. Without the crate, I would be chasing Martini around the house all day, never getting any work done. Not to mention the potty training, crate training will help make potty training a breeze! And if you adopt an adult dog, the crate can help make the transition to your home smooth. The crate gives a dog a safe place to get away from a hectic household and a safe spot to sleep. Make sure to read our article about Best Dog Crates. I go over selecting the right crate type, size and more. Choose a quiet place in your home to place the dog crate. Ginger’s crate is in my daughter’s bedroom, but a quiet corner of the house will work too. I don’t suggest a laundry room or garage, as you want your dog to feel comfortable and still part of the family. Place a blanket or dog bed inside to make it cozy and inviting. If your dog is a chewer, then you may find you can’t leave a blanket in the crate without him destroying it. In which case, unfortunately, you should not leave any blankets in the crate. Leave the crate door open and allow your dog to explore it on his own. If your dog is not interested in exploring the crate after a couple hours, put some yummy treats, a peanut butter filled Kong® or his favorite busy toy inside of the crate and walk away. NEVER pressure the dog to explore the crate; you want him to do this step on his own. So use whatever encouragement he needs: food, treats, praise. You can feed your dog his meals inside the crate by simply placing the bowl of food inside the crate. Do not close the door yet, just allow your dog to enter and exit the crate on his own. Once your dog is comfortable around and inside the crate, you can start closing the door for a few minutes at a time. Do not leave him, just sit next to the crate or close by so he can see you. Go as slow as needed, depending on your dog’s reaction to the crate. You don’t want to rush this step and have your dog afraid of the crate. Extend the time in the crate with the door closed to the point your dog looks relaxed and lays down. Open the door calmly, do not make a big deal about returning. No high-pitch voices or over the top excitement. Do NOT open the door to the crate if your dog is barking or pushing his way out the crate. Your dog MUST be CALM before you allow him out of the crate. This is important for future coming and goings. This could all lead to separation anxiety in your dog. It is important to move SLOW with this step. Once your dog shows he can be relaxed in the crate with you close by, it’s time to leave the room. Go into another room of the house for 5-10 minutes. Return back to the crate and let him out only if he is CALM, do NOT open the door if your dog is barking or pushing. Extend the time throughout the next day or a few days until you can leave him for the amount of time you will need to on a regular basis. This will vary depending on how quickly your pup adjusts to his crate. Where is the Best Place to Put My Dogs Crate? This is a question only you can answer, choose a place that is convenient for you. For us, our bedroom is where we have our personal dogs crate. For foster dogs, I started in our bedroom but recently decided the lower level was best. This allows our resident dogs to keep their “space” as their own, and the foster dog to have her own space. Also, my husband leaves work very early in the morning and most foster dogs have a tendency to wake when he gets up for work. So having the foster dog on the lower level keeps the morning quiet and allows me to stay asleep. If you have a young puppy, place the crate somewhere you will be able to hear him wake in the middle of the night to go potty. Do not expect a new 6-week old puppy to be able to hold her bladder all night long. Learn how to potty train a puppy fast! How Long Can My Dog Be in the Crate? The length of time your dog should be in his crate varies by age. A young puppy needs to go outside to potty often, and just because he is in a crate, don’t expect that to change. The rule of thumb for puppies is one hour for every month in age. So for example, if your puppy is 8 weeks/2 months old, he can wait about 2 hours before having to go potty. 6 months old, 6 hours. But again, every dog is different, so you need to gauge your own dog. If you come home after 3 hours and your puppy has relieved himself in the crate (and you have the correct size crate), then you need to shorten the time between letting him outside. For adult dogs, 8 hours about the longest I recommend. If possible, come home from work during your lunch hour to let your dog outside. Or hire a dog walker for a mid-day break. If you have a wire crate and your dog shows signs of anxiety when left alone, try a plastic crate… sometimes the den-like feel of the plastic crates helps the dog feel more comfortable. Or try to place a blanket over the wire crate to create the den-like feeling. If you have a plastic crate, and your dog is afraid to enter the crate, try a wire crate style. Some dogs have a fear of entering the unknown, and the wire crate creates a more open feeling. Treats, Kongs®, and praise are your friend when training your dog in any new situation. Use natural peanut butter to fill your Kong, don’t buy the stuff in a can they sell in the store… that stuff is filled with ingredients I can even pronounce! And don’t use peanut butter that has Xylitol. So That’s It… Crate Training Your Dog Sounds Easy, Right? Okay, I admit it does sound easy, but I’ve experienced many different reactions to the crate with our foster dogs. Some dogs just hate the crate, have separation anxiety, and other dogs love the crate and go in without issue. I’ve had a foster dog destroy the plastic crate tray… and I mean destroy into tiny little pieces! Mocha would bark her head off the entire time in the crate (read how I solved her barking here). And I have Martini right now that goes into her crate and doesn’t make a peep. Every dog is different and every dog has his or her own personality, just like people. But all dogs can be crate trained, it just takes time and a lot of patients. So take a deep breath and relax! If you are anxious, so will your dog. P.S. Let’s hear it, what is your experience with crate training? Does your dog love it or hate it? Comment below and help encourage your fellow Rescue Dogs 101 community members.